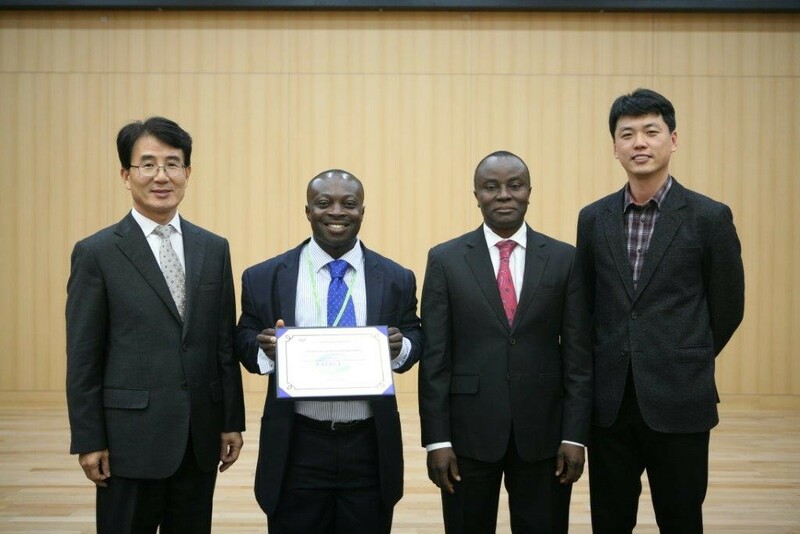 The Korean Government recently bestowed a certificate of excellence on Mr. Michael Kwabena Osei, a SCARDA recipient at Kwame Nkrumah University of Science and Technology (KNUST) who graduated in 2010 with a Master of Science (MSc) Degree in Plant Breeding. Michael won the KAFACI award on the 26th of November, 2015 with a certificate of outstanding project and other RDA Souvenirs. Mr. Michael Osei is currently the Head of the Horticulture division of the Crops Research Institute Ghana and the first Ghanaian scientist to have reported the discovery of three new distinct tomato virus strains associated with Tomato Yellow Leaf curl Virus (TYLCV) disease in Ghana. He is indeed an exceptional icon of FARA’s Capacity Strengthening Programme. 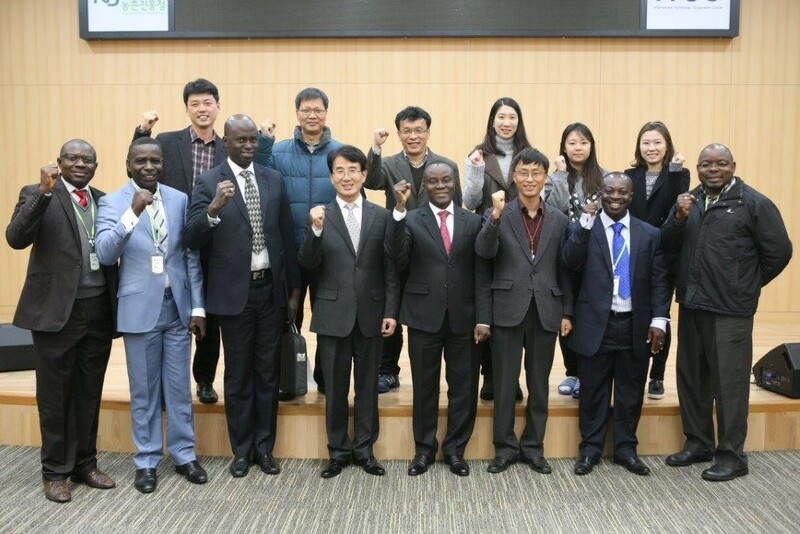 The tomato research project led by him with funding from the Korean government under Korea Africa Food and Agriculture Cooperative Initiative (KAFACI) was adjudged by the donors as the outstanding project among 14 African member countries of KAFACI after evaluation of the country project from November 2011 to November 2014. A plant breeder currently working on vegetable improvement with emphasis on tomatoes and funding from SCARDA, his research activities focus on identifying farmers’ constraints in the field and designing experiments to find solutions to those problems. Michael Osei’s award winning project looked at “developing and transforming vegetable technologies in Ghana: the case of tomato”. The Strengthening Capacity for Agricultural Research and Development in Africa (SCARDA), is a DFID funded programme and an action response to recommendations made during a NARS Assessment commissioned in 2005 by the Forum for Agricultural Research in Africa (FARA) thereby, improving the impact of African agricultural research including the adoption of holistic and inclusive innovation systems concepts and creating new directions and mechanisms to strengthen capacities of NARS in agricultural science and research management. The purpose of SCARDA was to strengthen the institutional and human capacity of African agricultural research systems to identify, generate and deliver research outputs that meet the needs of poor people.